Up to the minute in stock data for hardy trees, shrubs, perennials, roses, vines & more. Availability of plant material varies constantly by the day, hour and minute. Because of this, we offer a current availabilty module on our website. The inventory listed is LIVE directly from our database. While it is not always completely accurate, it is a helpful tool while shopping or planning your landscape. We strive to always carry inventory of the most requested items during the spring and summer season. Prices and availability are subject to change at any time. As an added service, we have added later availability dates to certain trees, shrubs and perennials for your summer and fall planting projects. Please note, we do not provide a shipping service at tis time. However, we do offer local delivery within 50 miles of the nursery in Norton, Ohio. Annuals and other seasonal plants are not shown in our availability module. 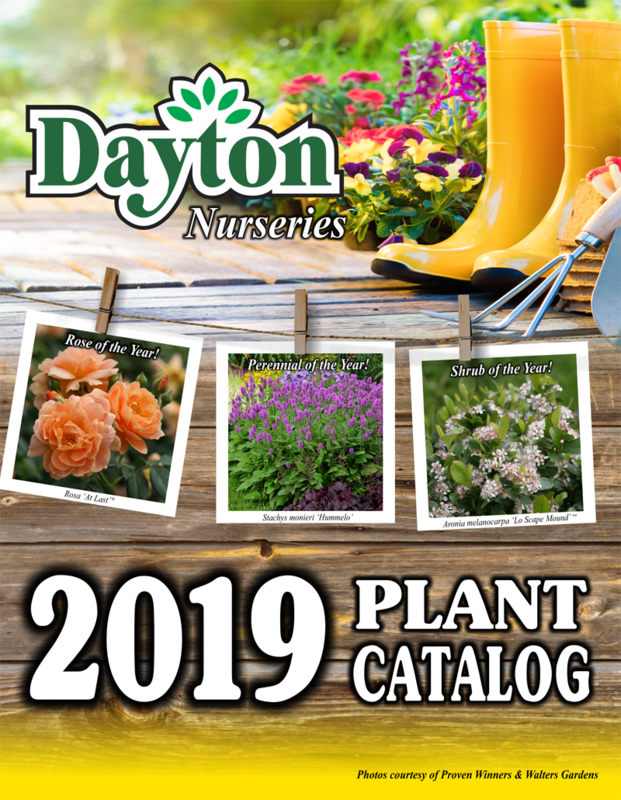 Flip through and browse our 2019 full-color, picture-filled catalog featuring thousands of varieties of trees, shrubs, perennials, roses, vines, ground covers, ornamental grasses, small fruits, soils, mulches, fertilizers and so much more! The catalog is sorted by sections for your convenience with easy to use links and a search feature. The catalog features a listing of prices and sizes of various plants to become available thorughout the season. For current availability of plant material, please use our online availability module. The Perfect Plant® is an interactive module that categorizes plant, bug and weed information into an easy to find fashion. The time and effort searching for plants and pest information is reduced with this handy tool. We are the first and only garden center in Ohio with this amazing technology! The data within this module was not written for us, it was written by us, assuring you the best and most accurate information for our NE Ohio lawns and landscapes. Search by type, sunlight, height/spread, foliage color, bloom time and various other attributes. Then create your very own Garden Wishlist™ to download. Search by type, growth habit, bloom color, leaf shape, seed head spikes and various other attributes. Then create your very own My Weeds List to download. What's bugging you? Search for a specific bug to not only find information but control options as well. Then create your very own My Bug List to download.